Good but a bit small . Prefer a bigger size . Highly Recommend Good quality pouches for travel. Item came well packed. Good and light material. Seams were well stitched. Highly Recommend written by mobile Good size and fast delivery! Speedy delivery. Goods received in good condition. Hi please let me know whether you still have the item - Mesh Pouch (L) - Collection T6 Code 01. Does this pouch have any compartments or internal pockets? Please refer to attached. Inside pouch no compartment, its as shown on picture. Width 21cm by 11cm. Hi, when is t808 stock arriving? Hi Buyer , The T808 will be here around end of Sep. Thanks. Hi when will the blue pouch be restock? Thanks in advance. Hi Buyer, There will be restock for this item. The date of restock is not confirm yet. We will update at qoo10 once this restock date is confirm. Visit our shop weekly as new items will update weekly. http://www.qoo10.sg/shop/kimhyeon Thanks for shopping with us. Hi Buyer, There will be restock for this item. The date of restock is not confirm yet. We will update at qoo10 once this restock date is confirm. Visit our shop weekly as new items will update weekly. http://www.qoo10.sg/shop/kimhyeon Thanks for shopping with us. Hi Buyer, The Blue pouch restock is here. 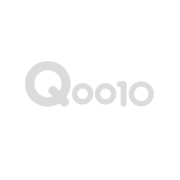 You can buy from us from qoo10 now. Thanks. May I know what is the H×L. When will blue color be available? Hi Buyer, The blue will only restock mid of Aug. The measurement is : H 23cm x W 17cm. Thanks. Hi Buyer, The blue will only restock mid of Aug. The measurement is : H 23cm x W 17cm. Thanks. Hi Buyer, The Blue pouch restock is here. You can buy from us from qoo10 now. Thanks. Hello! for T808 and T304, may I know what is the dimension? Hi Buyer, T304 - H 12cm x w 16cm T808 - H 50cm x w 25cm Thanks. Hi Buyer, The item you bought C1208 / Red , had stock. As for C101 evening clutch bag only have black and pink colour. C801 / black sold out. Visit our shop weekly as new items will update weekly. http://www.qoo10.sg/shop/kimhyeon Thanks for shopping with us. may I know if you will be restocking the Make Up Pouch C? how long would it be? thank you!